Space-saving vertical filing system for active documents. 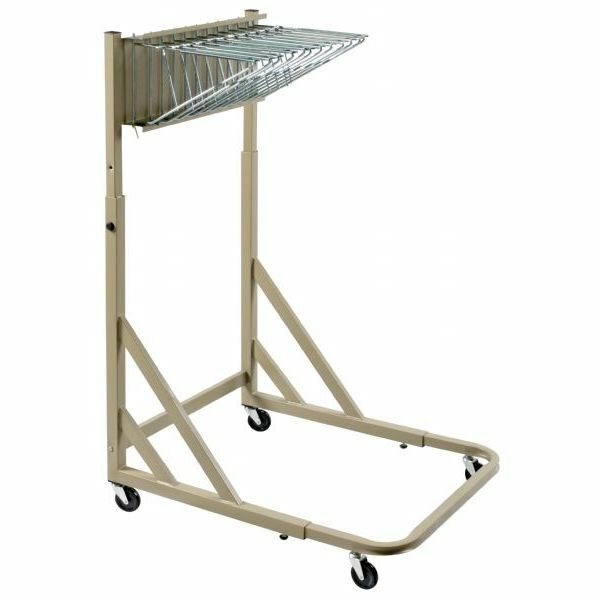 Consists of a sturdy steel frame supporting 12 pivoting brackets that swing freely to allow visibility and easy access to hundreds of documents, prints, and project files. Mounted on four swivel casters, the rack rolls easily wherever needed, making it ideal for office and field use. Designed to be interchangeable with systems from other manufacturers. 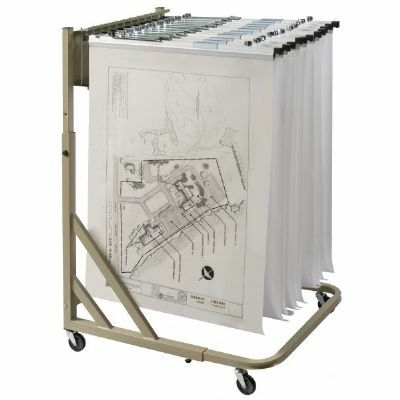 Holds 12 Hanging Clamps (sold separately). Weight 53 lbs. Fits clamp sizes 18", 24", 30", and 36"